It's been a while since I've posted a NOTD, mainly because I've been neglecting my nails a little recently and I've not had anything interesting to share. I picked up a couple of polishes from Barry M's new releases last week, though, including 'Ridley Road' from the Textured Effects collection. I basically bought this out of curiosity, just to see what it was like. 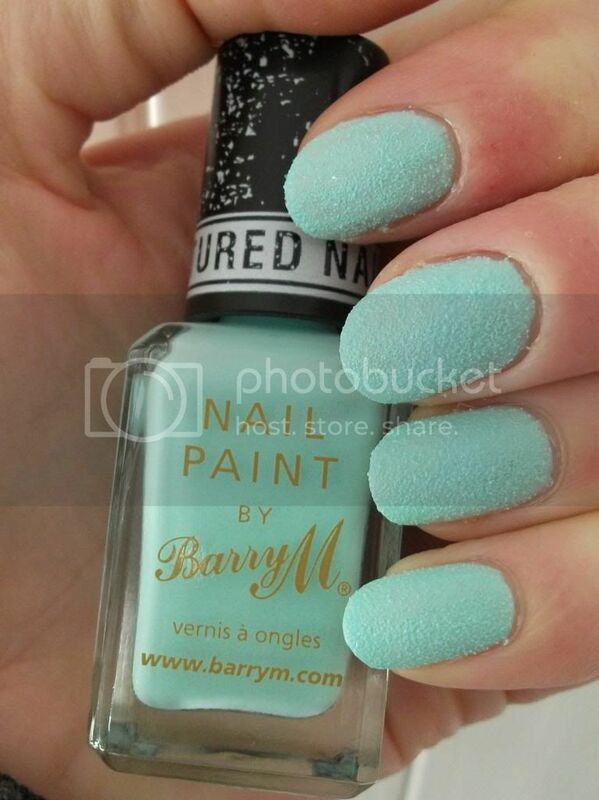 In the bottle, it's a lovely minty green colour, which is one of my favourite shades to wear on my nails, especially for Spring. It applied really nicely, two coats was plenty and they dried reasonably quickly; the second coat was, however, a little harder to apply due to the gritty finish of the first. The finish is strange, but not unpleasant. Touching it feels like stroking medium-grade sandpaper, and it looks like that too to be honest. 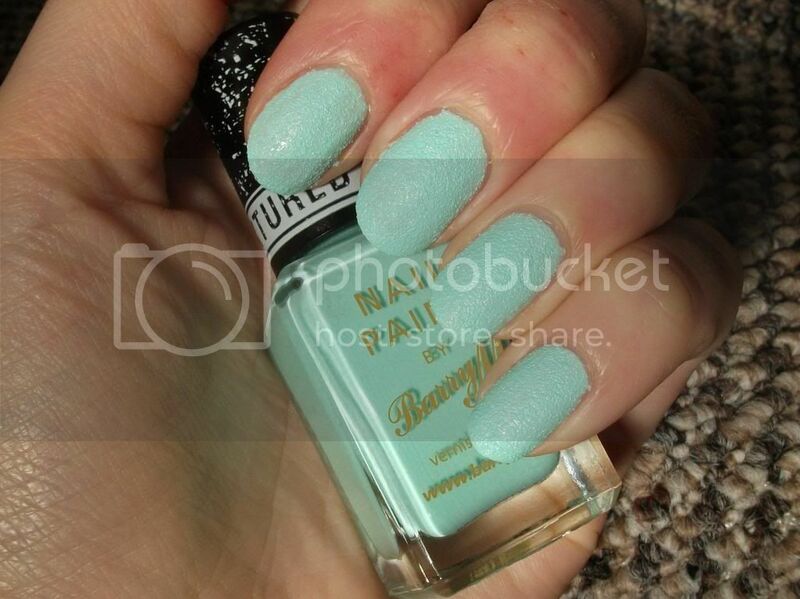 It's unusual and gives a slightly edgier finish to what would otherwise be a pretty, pastel manicure. 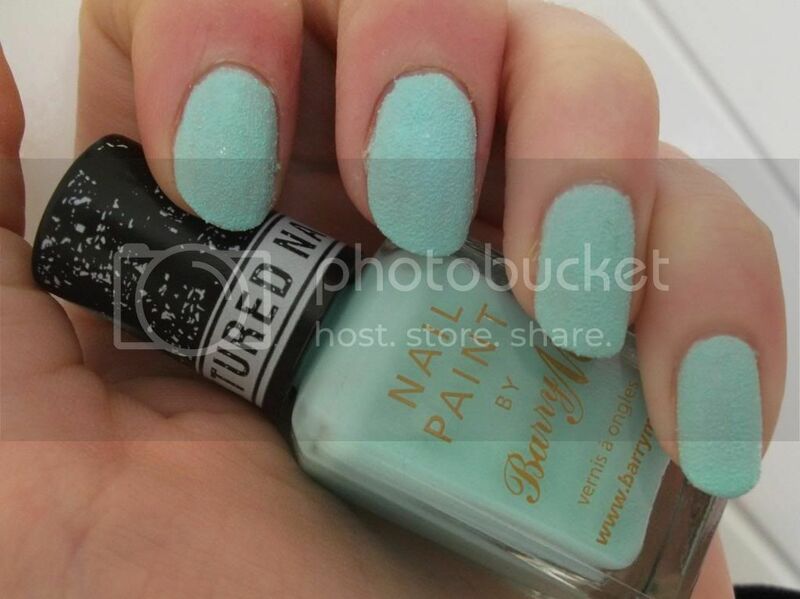 I think this may chip quite easily as you can't add a topcoat without losing the textured effect, but other than that I really like it and I can see myself picking up a couple of the other shades available. Do you own any of the Textured Finish polishes? What do you think - are you a fan of all the new finishes, or are you a gloss girl at heart? These are currently available at 2 for £6 from Superdrug, along with the Gelly Hi-Shine collection, so now is a good time to grab a couple! None of the stores I've been to have this in yet, I relly wanna try! that's awesome! can't wait to try it. I had to take a double look at these, I didn't even know that textured nail varnish existed! Oh the sheltered life I must lead, that's such a lovely colour too!